Today, the New York Post directs our attention to a study commissioned by Jordan Winery, which found that Americans, on average, fall in love with wine at around age 29. Presumably that’s at least in part because Americans, on average, start feeling like we’re too damn old to throw back tequila shots and too damn smart to pound Silver Bullets shortly before turning 30. No? Just me? Moving on. 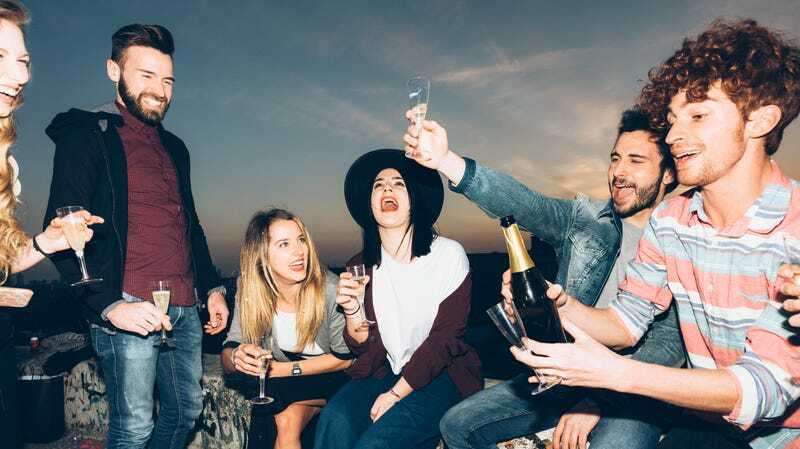 The study, which involved 2,000 people, revealed that the average American “will only start to fully appreciate a good bottle of vino toward the tail end of their 20s,” but also indicated that the ways in which we total rubes discover the pleasures of winey wine wines vary. The most common way is through a friend (thanks, Julie! ), though significant others and discovering it all on one’s own are also common. The average American can also name four wine types off the top of their head and they are most familiar with Chardonnay (69 percent), Merlot (62 percent), and rosé (58 percent). And our top wine? Chardonnay. We are so basic, but hey, a nice buttery chard is just delicious, know what I mean?